The MacBook's graphics chipset used a portion of main memory as VRAM. Though reported as a 256 MB graphics system, the chipset actually used up to 272 MB of RAM. 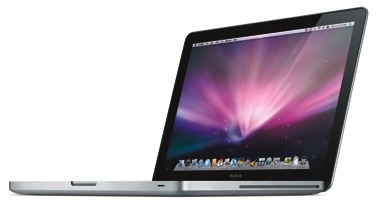 Announced in October 2008, The MacBook (13-inch, Aluminum, Late 2008) included many of the features of the higher-end MacBook Pro (15-inch, Late 2008), announced at the same time. In addition to the stunning new aluminum Unibody enclosure, the MacBook (13-inch, Aluminum, Late 2008) included a faster graphics chipset, a faster bus, and a glass-covered clickable Multi-Touch trackpad, which supported two, three, and four-finger gestures. The high-end model featured a backlit keyboard, a first for the MacBook line. Notably absent from the MacBook (13-inch, Aluminum, Late 2008) was a FireWire port, a MacBook mainstay since 2000. 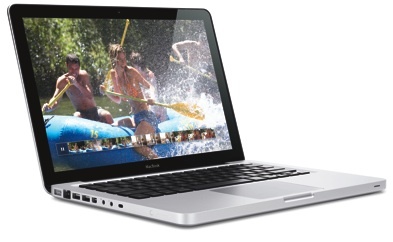 The MacBook (13-inch, Aluminum, Late 2008) shipped in two configurations: 2.0 GHz/2 GB RAM/160 GB HD/$1299, 2.4GHz/backlit keyboard/2 GB RAM/250 GB HD/$1599. Built-to-order options included a 320 GB hard drive, and a 128 GB solid-state drive.